Why I went with this over a Drobo: Conceptually, I like Drobo. But what I don’t like is that the user is at the mercy of propriety backup technology. Meaning that if your Drobo enclosure dies, your data cannot be recovered unless you get another Drobo enclosure. That doesn’t sit well with me. 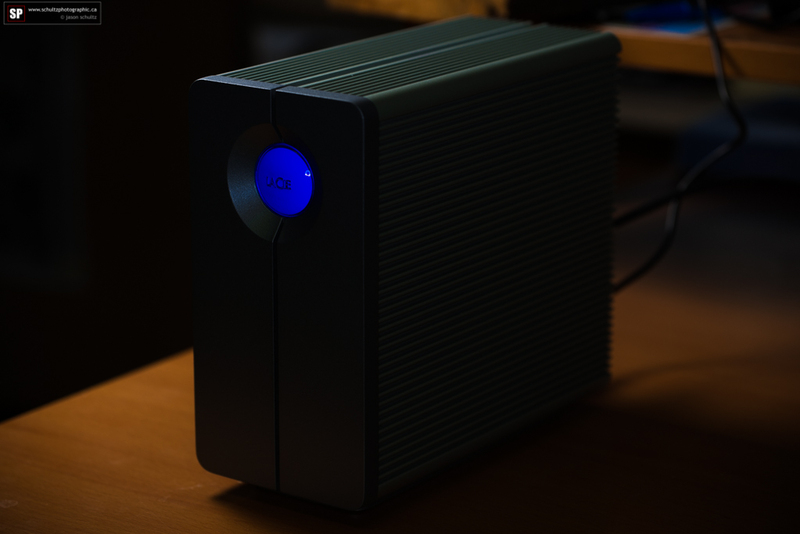 With the LaCie RAID, if the enclosure dies, simply pop the drive into any other enclosure and recover your data. Easy. Now for speed. Before I reconfigured the RAID, I tested the speed of the striped config. I used Black Magic speed test. Here’s what I found out. In a striped configuration, the LaCie screams. 304.5 MB/s write and 300.4 MB/s read. That’s awesome! If you wanted to use this as a working drive for video, this would rock the set. Now, for the mirrored config, I got a little better than half. 179.5 MB/s write and 176.5 MB/s read. So you can’t have it all. The cost of redundancy is a substantial speed hit. And yet with that in mind, it’s still loads faster than USB3. I tested a bunch of other drive media just to see how they performed. Here’s the results. 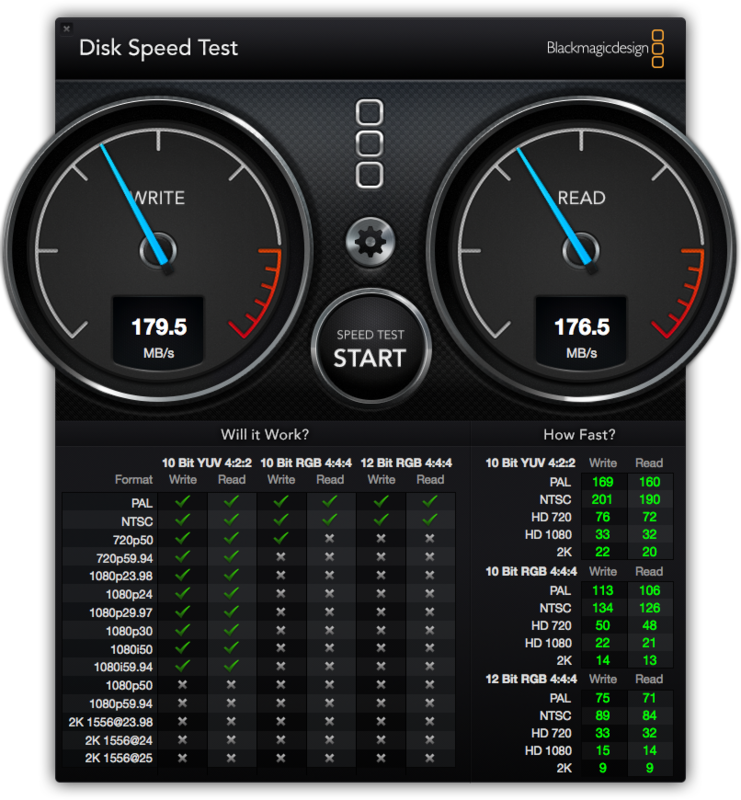 A Touro USB3 drive was 94.9 Write and 95.8 Read. A USB2 drive was 37.7 Write and 37.8 Read. 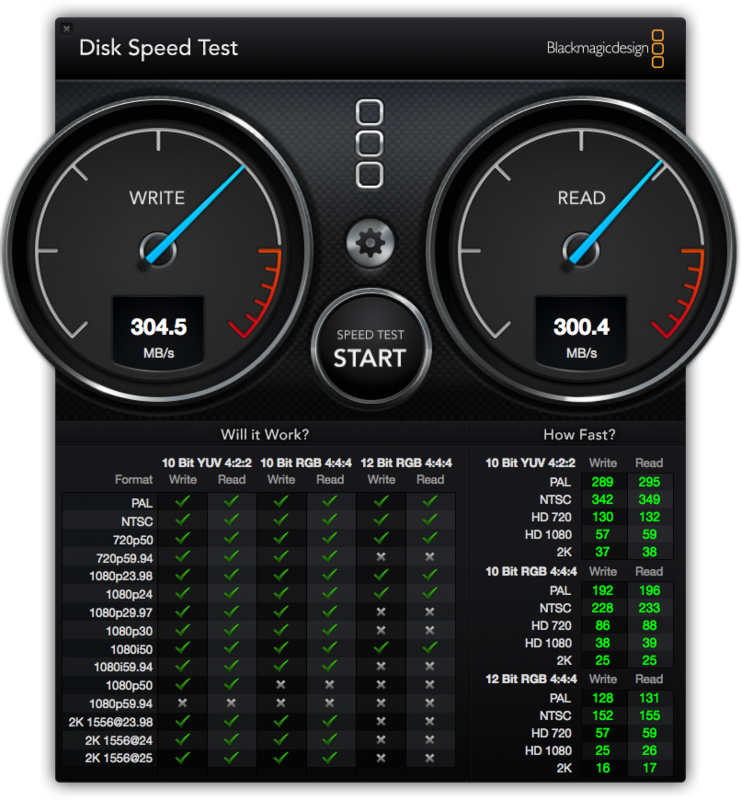 I tested a Lexar Professional 32GB SD 400x speed card (in a USB3 reader) and it was 40.2 Write and 87.9 Read – almost approaching USB 3 read times. So the LaCie with the Thunderbolt goodness is majorly king of the hill, even in a mirrored config. So I’m excited to welcome the LaCie into the workflow. It’s going to significantly increase my quality of life in transferring D800 megapretzels, especially after a long day of wedding shooting! I’ll probably abandon my Aperture 3 JPEG + Matching RAW workflow as it will be just as fast to copy the RAW files to a scratch folder on the LaCie and do the culling from there. I’m sure it will be fantastic! This entry was posted on November 14, 2013 by schultzphotographic. It was filed under Photo Editing, Photography Computers and was tagged with 2Big, 6TB, Black Magic, LaCie, LaCie 2Big Review, Mirrored, RAID, RAID 0, RAID 1, Speed Test, Striped, Thunderbolt.